To look at the municipal election results earlier this year, you would think that things in Los Angeles were going just swimmingly. Not a single incumbent city councilmember was rejected by voters, and Mayor Eric Garcetti was re-elected with an unheard-of 81 percent of the plebiscite. It’s hard to recall a time when our city leaders were this popular. Yet no one would deny that L.A. faces crises on multiple fronts. Foremost is the cost of housing, which has trudged upward all decade and has roiled the city. People are being evicted and are living in their cars and on the streets. Others are getting priced out of their apartments and moving to cheaper neighborhoods, setting off waves of gentrification. A new kind of neighborhood-based xenophobia has taken hold, fed by housing anxiety. People are forced to live farther and farther from where they work, exacerbating a traffic problem that already is the worst in the nation. Housing is not the city’s only problem. Los Angeles has had more fatal police shootings than any other city in the country for two years running — just one example of the growing divide between law enforcement and residents, particularly those in low-income areas. Many neighborhoods are desperately short on both park space and healthy food. Pension costs continue to hog the budget. Public schools are losing students, revenue and the faith of parents. There are, of course, no easy solutions to these problems. Every new idea creates winners and losers, and brings more change to which certain factions will be ever more resistant. But there are ideas that can make a sizable dent in these problems, and we’d like to take the opportunity to surface some of them. Some are expensive. Some are free. Many already have been proposed, in policy-wonk circles or in opinion pieces. We’ve restricted ourselves to ideas that have not been adopted by any legislative body or by the voters yet, and we’ve tried to offer a range of ideas tackling issues that matter to a broad swath of Angelenos, from housing to education to the environment to police reform. Here are 20 ideas that could fix L.A.
6. Build pods for the homeless. Los Angeles has more people experiencing chronic homelessness than any other city in America. The city has taken some notable steps in the last year, such as passing a tax hike to pay for the construction of permanent supportive housing for the homeless. But those buildings will take several years to be constructed. There’s much that could be done to improve the lives of people living on the streets right now. 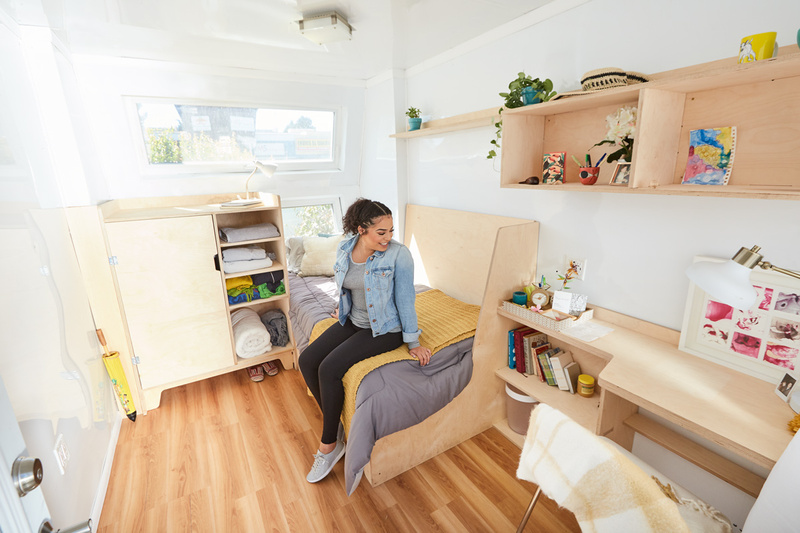 One idea comes from a grant-funded USC architecture class tasked with designing emergency housing for people living on the streets: 92-square-foot prefabricated pods that can be easily assembled, customized, stacked and transported by a flatbed truck or forklift. The units, dubbed Homes for Hope, would cost no more than $25,000 apiece, including construction. The class worked with city officials to pre-certify the pods, which should expedite the approval process.